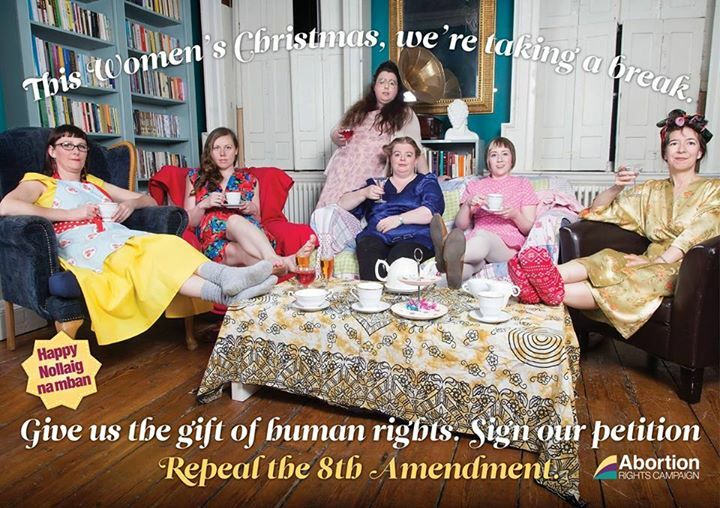 Nollaig na mBan one year later. Over the last year we have had UN Human Rights Committee Chairman Nigel Rodley say Irish law clearly treats women as a “vessel”. While our Minister for Justice was attending those committee hearings she would have know about the case of Migrant Y, who was being treated like a Vessel, raped unsupported and forced to continue a pregnancy she didn’t want. We have also had the case of Ms P, who was denied dignity in death by a combination of the 8th amendment, the new Protection of Life in Pregnancy law and the lack of clear guidelines for medical practitioners in the wake of that new law. We have had many TDs of all the parties stand up and say that the laws need to be changed, many of them from the governing parties but all of them saying now is not the time. Over the last year 4,000 more women have travelled to the UK and given an Irish address, some will have given a UK address, some more will have gone to other countries and the numbers of those who are accessing early medical abortion illegally Ireland is also rising. How much more suffering will there have to be this year? How many more indignities before political parties find the courage to bring about the changes which are needed? In the mean time another 12 women will be travelling and more hoping that the abortion pills they have ordered will arrive.